Please Note: BTOG does not endorse or recommend the content of external sites. BTOG works collaboratively with many other organisations, societies and groups to build close and enduring relationships and to have mutual memberships to ensure representation. Exists to improve standards of care for people who have respiratory diseases and to support and develop those who provide that care. Promotes the exchange of ideas and research in the field of thoracic malignancies. The only global organisation dedicated to the study of lung cancer. Founded in 1974, the association's membership includes more than 6,500 lung cancer specialists in over 100 countries. Set up in 2001 to build on an informal collaboration between cancer research funders and become a strategic UK-wide partnership. 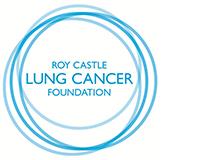 With a mission "to defeat lung cancer", the Roy Castle Lung Cancer Foundation’s three key activities are research, support and prevention. An international non-profit umbrella organisation for academic groups worldwide, dedicated to thoracic oncology research.